Litehouse Pools and Spas started in 1959, and since then we have grown to 15 retail locations across Ohio and Pennsylvania. We offer a complete line of inground and above ground pools, hot tubs, accessories, outdoor furniture, grills, pool tables, game room accessories, Christmas trees and decor, and home tanning systems – just to name a few! Only Litehouse can take your backyard from project to perfection and ensure you a worry-free, enjoyable experience that you and your family can enjoy for years to come! High-Tech Pools, Inc. is a third generation, award winning company. The Hammerschmidt family along with their team of professionals and craftsmen have successfully constructed both residential and commercial pools since 1958 in Ohio and its surrounding states. 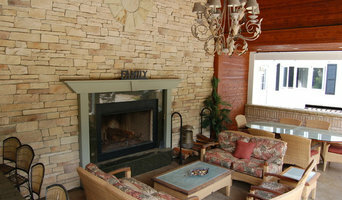 We’ll congenially work with your designer/architect, or our design team can custom draw your vision into its reality. Perhaps yours will become one of our internationally award winning projects as we have received recognition for our pools, whirlpools, and water features. We employ only the most skilled technicians and use only the highest quality products on your project. We offer the latest technological advances and advice for all pool situations. All work is done in-house or managed directly by High-Tech Pools to maintain our impeccable reputation. Ohio's Premier Award Winning Pool and Fountains Design Company and Contractor specializing in Outdoor Beautification. We create stunning outdoor entertainment areas including patios, fountains, waterfalls, outdoor kitchens and in ground swimming pools. We handle all aspects of creating your dream backyard oasis from designs, to construction, and every detail in between including landscaping design and install as well as maintenance of your backyard once completed. Family owned and operated for over 35 years, Highland Construction creates a unique and pleasurable aquatic experience in your backyard. Each swimming pool and spa we build is crafted and custom created to fit you and your families specific needs. Highland Construction specializes in concrete pools and spas, in which the opportunities are endless for you to create your own. Some options that we have explored and specialize in are, but not limited to: stamped concrete decking and coping, vanishing edge designs, retaining walls, rock grottos, swim-up bars and tiled bar stools, mosaic tile patterns, and waterfalls. Our decks around our custom built pools are not limited to stamped concrete. We work with skilled masons and landscape architects who supply us with sandstone, bluestone, limestone, and other cuts to give your deck a unique look. Swimming Pools are a great addition to any family and offer many options for your children. Highland Construction specializes in installing sun-shelves which create a small "wading area" for toddlers. In addition Highland Construction installs a wide variety of diving boards, slides, splash pad features, volleyball and basketball equipment. When you are ready to take the next step in home entertainment, plunge into Highland Construction. Since 1957, Ohio Pools and Spas has been providing the people of Northeastern Ohio with the finest possible quality recreational products including hot tubs, saunas, above ground swimming pools and patio furniture. We are a family-owned business that believes in treating you like a member of the family. Designor Pools is a design/build contractor of commercial and residential in-ground concrete swimming pools, whirlpools, and water features. Explore our site and learn more about Designor Pools and what we do. Feel free to contact us with any questions. Jump right in!! 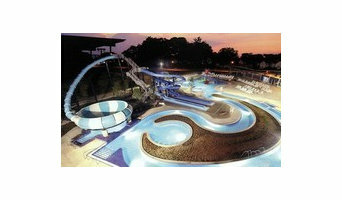 Designor Pools is located in Cleveland, Ohio. The two partners have close to 50 years experience in the business: Matthew Smith, Member: Over 28 years building pools. In charge of field construction. Bryant Bay, Member: Over 21 years in the pool business, predominately in sales and estimating. We have a solution For all your Pool and Spa Needs Pools and Spa Special Savings at the Backyard Zone The Backyard Zone pools are available in a wide range of attractive designs and sizes to match your unique style and backyard needs. Our showroom has water cleaning and pool maintenance products. Founded in 1976, D&J Pool Builders has been a part of the Kirtland community for over 20 years. We are your trusted, local pool builders. 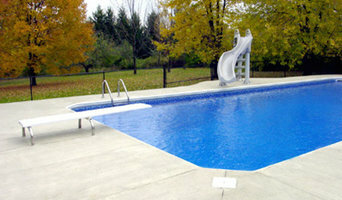 We specialize in products such as inground pools, vinyl liners, and pool equipment. Contact us for your pool service and maintenance needs as well. 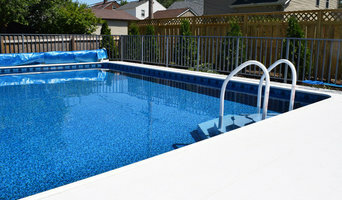 We can assist in the opening and closing of your pool. We pride ourselves in providing only the highest quality products to our customers. Because of our exacting standards, we provide products from trusted manufacturers such as Fort Wayne, Pentair, Hayward, and Rheem. Whether you are located in Kirtland or surrounding areas, including Chardon, Mentor, and Chesterland, contact us for your pool construction and service needs. We are happy to help, in any way we can. Our mission is providing our customers with their ultimate outdoor and indoor dreams. Follow us to see new products, services, and the dreams that we've created! Best Buy Pools and Spas provides our customers with products and services regarding swimming pools and hot tubs. These categories can be more defined as above ground swimming pools, in ground swimming pools, on ground pools, hot tubs, spas, swim spas, saunas, accessories and chemicals. Equally as important is that we are able and willing to provide information and answers to questions about swimming pools, hot tubs and spas that help consumers make good decisions. We specialize in swim spas and are the exclusive distributor of the Michael Phelps swim spa line by Master Spas. Lastly we provide value, by bringing products directly from their source to the end user, our customers. Twenty five years of experience in the swimming pool and hot tub industry provides the basis for what we do. Our pool and hot tub vendors provide great products and we are staffed with people who are the best in the pool and spa industry … by industry standards, not our own. We are also directly affiliated with swimming pool and hot tub groups that help us complete our task at hand, but are specifically tied to National Pool Spa Brokers and National Pool and Spa Show. Thank You for Your Interest in Caldwell Pools! We are a local family owned business, and have served the area for over 30 years. We are committed to providing our customers with fast and friendly service. We sell pool and spa chemicals, pool toys, filtration systems, heaters, and maintenance equipment. We also sell and install aboveground and inground pools. We carry a large selection of BioGuard, Fox Pool, Frog, and Hayward pool products. Our Mission: One word: Perfection. Our goal is to install the pool of your dreams and create a life-long business relationship. Locally Owned and Operated Caldwell Pools has been owned and operated by the Caldwell family since 1980, and is currently employing their third generation of pool entrepreneurs to meet your swimming pool needs! What exactly do Parma Heights pool builders do? If you are planning for a new pool in Parma Heights, OH, a swimming pool builder will analyze your outdoor space and your aesthetic wishes to determine an appropriate design for your yard, installing it once the plan is developed and approved. Once installed, some pool companies in Parma Heights, OH can handle the necessary cleanings, water testing, renovations and equipment replacement or repairs for your pool or spa. If not, many can also suggest Parma Heights, OH swimming pool contractors or maintenance services to help with upkeep or repairs down the road. Here are some related professionals and vendors to complement the work of swimming pool builders: Garden & Landscape Supplies, Landscape Architects & Landscape Designers, General Contractors, Landscape Contractors, Solar Energy Contractors. Before hiring a swimming pool construction company to create your new Parma Heights, OH pool, determine how you'll be using it. Will it be for fun or for lap exercise? Will the primary users be children, adults or a mix of the two? Knowing the use can help you find Parma Heights pool builders who shares your aesthetic. Once you find swimming pool builders in Parma Heights, OH who share your style, research is critical. Review customer references and comments, collect at least three to four estimates to compare, meet with potential Parma Heights pool designers and builders in person and ensure that they are Ohio certified service professionals and licensed with the registrar of contractors before making any final decisions. In addition, get a sense whether they plan to complete the pool installation and be done with it, or whether they seem interested in building a long-term relationship with you. Be wary of the former: it's likely a reflection on the level of quality of the pool construction they do. Find a Parma Heights pool contractor or designer on Houzz. Narrow your search in the Professionals section of the website to pool builders in Parma Heights, OH. You can also look through Parma Heights, OH photos by style to find a pool or spa you like, then contact the local pool company who designed it.